For years women have agonized over shaving their legs, underarms and bikini area. Men have struggled with embarrassing back hair that's so difficult to reach to shave. Now, laser hair removal is available to permanently reduce the amount of hair growth by killing the hairs where they start, at the follicle. The latest treatments have greatly reduced the discomfort of the procedure and have improved the amount of hair reduction and procedure time. A gentle beam of laser energy is emitted from the laser hair removal device and penetrates through the skin to the hair follicle. There, the energy is absorbed by the hair and transformed into heat. This process destroys the hair follicle, preventing new hair from growing. The laser energy is able to discern between skin and hair based on the difference in pigmentation between the two. Because the laser energy is naturally attracted to dark colors, the best candidates for laser hair removal are those with very light skin and dark hair. Those with darker skin will benefit less because the darker pigment in the skin will absorb some of the laser light energy. To avoid burning or ineffectiveness, patients with darker skin may choose a different method of removal such as electrolysis. Laser hair removal usually does not work for those with light colored or red hair. The newer laser technologies such as Alma's Soprano XL, Lumenis' LightSheer Duet or Candela's GentleMAX are better able to treat more skin types with greater effectiveness. The Soprano XL has a larger treatment tip than its predecessor and features the Sapphire cooling tip to cool the skin, making for a virtually painless procedure. The LightSheer Duet adds vacuum technology to gently suction the skin bringing the hair follicle closer to the laser itself. The skin responds to the suction and sends that sensation to the brain, rather than the heat of the laser pulse, decreasing discomfort. The GentleMAX also has a cooling tip so that patient comfort is greatly improved. 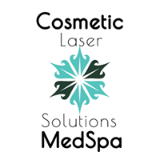 Laser hair removal is an extremely safe and fast process and involves little or no recovery time. Some redness may occur following the treatment, but will disappear quickly. Compared to other hair removal options, laser treatment is much more comfortable and effective. Most patients require a cycle of 3-8 treatments from over 10-24 months. Even following a treatment cycle, it is possible to experience some scattered regrowth. Because every person's growth pattern is unique, the amount of treatments will vary. The remaining hair may be removed by electrolysis or can be maintained conventionally with waxing or shaving. The lasers on the market today vary greatly and may or may not use a cooling device. It is important to find out from your laser hair removal provider what type of laser they are using before undergoing treatment. You should also bear in mind that normal hair growth has three cycles. Not all follicles are growing at the same time or pace, so the patient must return for additional treatments to ensure that all of the hair is receiving treatment during growth. Con la tecnolog a ms avanzada que nunca personas de tez morena pueden eliminar los vellos, claros o oscuros, de la cara, las piernas, los brazos, el bikini, y las axilas de manera permanente. Todas reas del cuerpo pueden ser tratadas con terapia de rayos lser. La terapia es efectiva y sencilla. Ahora en dia a cada laser de depilación tiene su propia tecnolog a para protege la piel con m nimo dolor. La terapia con láser, fotodepilación, ayuda a eliminar los folículos pilosos utilizando luz pulsada intensa (IPL). Los rayos de luz concentrados funcionan eficazmente para eliminar los folículos capilares sin dañar la dermis o la epidermis. La terapia de depilación de cabello requiere entre cuatro y ocho sesiones. El crecimiento del vello es lento con cada sesión que permite la formación de una cicatriz evitando que vuelva a crecer el vello. Resultados dependientes de cada paciente para su tratamiento médico sin tratamiento apropiado para Uds. Para mayor información simplemente contacte la cl nica o medico en su ciudad.